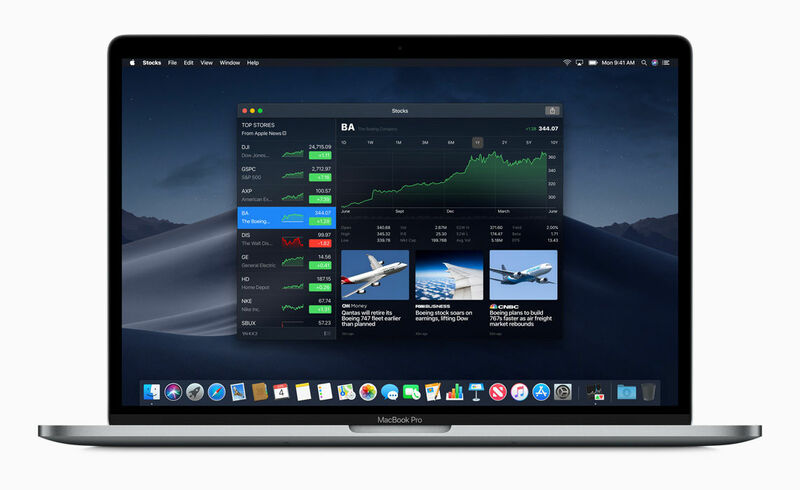 At its WWDC Conference in San Jose, California, Apple announced the next versions of its platforms: macOS Mojave, iOS 12, watchOS 5 and tvOS 12. If you want the full details of them all, head over to our sister site, Macworld. Here we're just concentrating on what Apple and others - including Adobe - showed off that will appeal directly to designers. 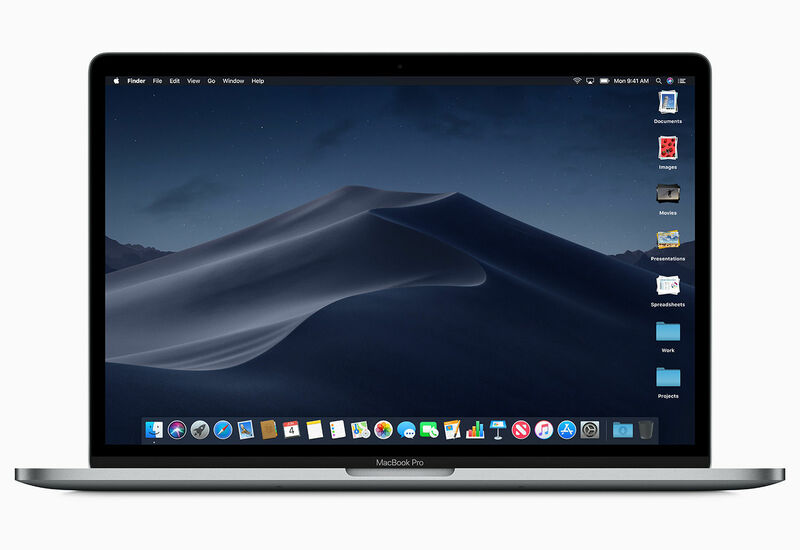 While there were no new Macs or iPad Pros, there is a new macOS - dubbed Mojave, or 10.14 if you prefer. 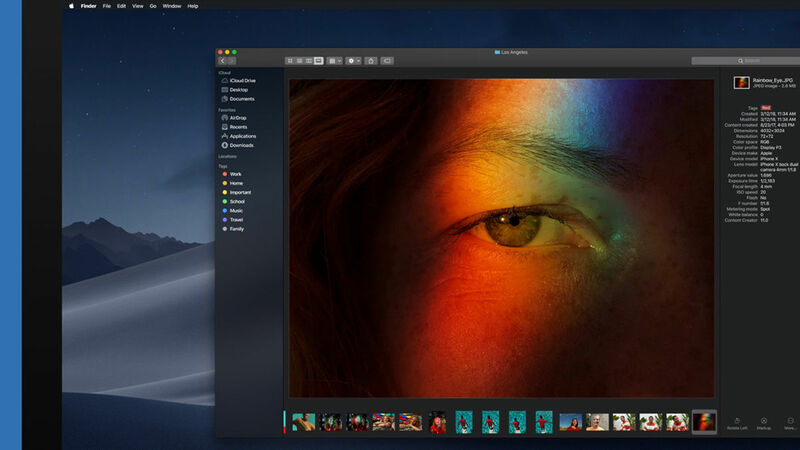 This sees the debut of a new 'Dark Mode', so at last your OS can match the colour palette of your pro apps from Adobe's Creative Cloud apps to Cinema 4D (and the iMac Pro). It's a minor, purely aesthetic change - but it does make macOS feel more 'pro'. This is especially true on a iMac Pro - where the white bar above sitting above Photoshop sticks out like when you have to use Apple's white Lightning adapter to plug a good pair of Audio-Technica headphones into a black iPhone. Also new is Stacks, a feature that groups all files of one type into stacked groups that you can click to view the contents - a bit like the expandable folders in the Dock. The aim is to make it easy to clean up the mess of files that are littered across most of our desktops, but grouping them into neat piles that are easy to navigate. Apple hasn't said how it's grouping them - but hopefully it'll be with a lot more granularity than the 'Images' and 'Documents' shown in the screenshot below, splitting images into PSDs. JPGs, AIs etc. MacOS Mojave is due in the autumn, as is iOS 12 - which adds further AR (augmented reality) tools. The first is a new app called Measure, which uses AR to let you measure distances accurately, according to Apple. The iPhone and iPad app can give you the dimensions of flat surfaces such as picture frames, posters and signs - with width, depth, diagonal and area measurements all calculated. 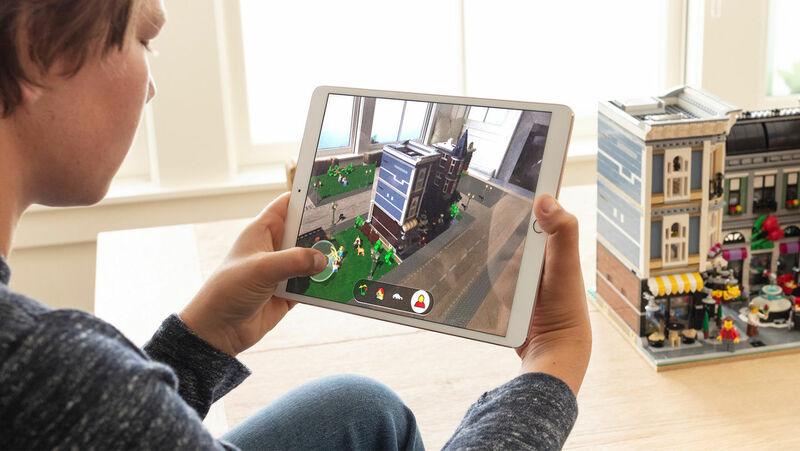 For AR app developers, there's a second-generation ARKit platform. This adds nifty features such as shared experiences - so two users can see the same AR content, for example if playing a game. Persistent AR means that AR objects 'stay put' if you go off to do something else and return to your game or experience later. There's also support for real-world reflects and 3D scanning and tracking (such as in this Lego app). 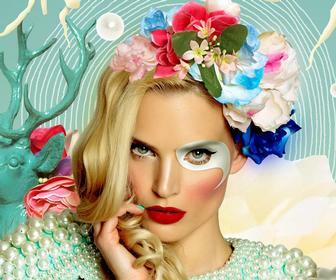 Adobe will support usdz inside Photoshop and its Dimension 3D mockup software. 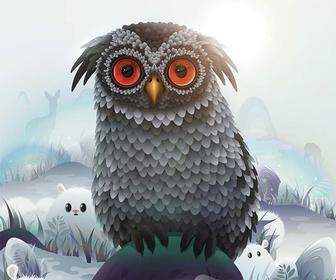 You can learn how to use the tool in our Adobe Dimension tutorial. 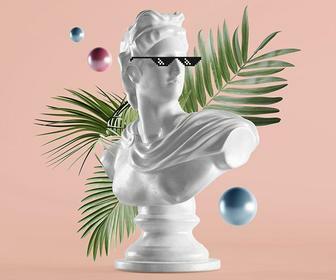 The Creative Cloud developer has also announced that it's working on a new iOS app that will allow you to bring together 3D content, text and images in a "WYSIWYG AR editing environment". We'll bring you more on this when Adobe provides more details. Finally, Apple is working on ways for app developers to run iOS apps on macOS - so simpler apps can be easily ported across. The examples shown were Apple's own apps including Stocks (below) - the app we spent many years trying to get rid of from iOS - and Voice Memos. Apple says the frameworks underpinning this will be released in late 2019, alongside iOS 13 and macOS 10.15, we assume.